Karen, Paul, Troy, and Brandon have been helping the community pick the right colors for over 24 years. 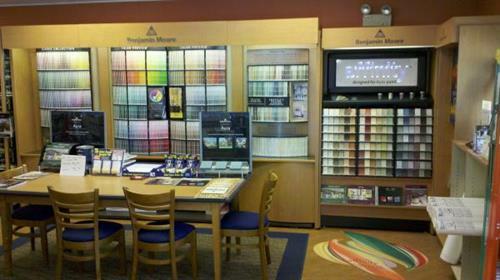 Westerly Paints was established in April of 1988. We pride ourselves of not only being a one stop paint store, but being a contributor to Westerly and the surrounding areas. Being a member of the Greater Westerly Pawcatuck Area Chamber of Commerce since 1988 has helped our business grow as well. We have formed a great relationship with the Chamber and it has, without a doubt, helped improve our business. The Chamber also allows us to help the community grow. We sell Benjamin Moore Paints, Pittsburgh Paints, Cabot Stains, Penofin Stain, Wood guard Stain, Drylok Waterproofing, Zar Interior Stains, Lead Block Paint, and Fire Retardant Coatings. We also sell name brand applicators such as Corona, Purdy, and Wooster. Westerly Paints sells spray machines, rents power washers, and sells Stepladders and Extension Ladders. We also sell Hunter Douglas Window Treatments. 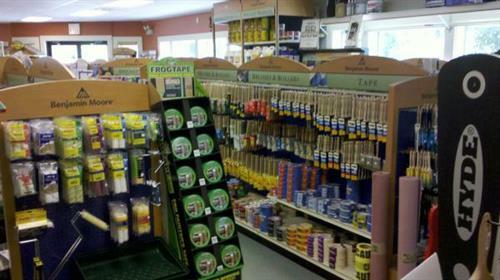 Come meet our staff at 85 Franklin Street in Westerly and let us help you with all of your painting needs.